This week Equity Trustees released its inaugural Annual Giving Review. 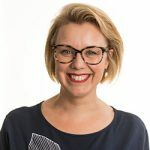 Jodi Kennedy, general manager charitable trusts and philanthropy, explains how it marks the beginning of their journey towards measuring impact. Delegates at the 2018 SEED summit in Brisbane. Giving away money is easy to do. Doing it well is a different story. As one of the largest providers of philanthropic giving in Australia, Equity Trustees is responsible for giving over $80 million of philanthropic money to the community every year. This is a privilege and role that we take very seriously. This week we release a report which is extremely important to us, as it is the starting point of our journey towards measuring impact. A brief look at the numbers begins to tell the story about why we need to do this. In FY18 we distributed $76 million in grants from charitable trusts and a further $11 million through bequests to the community. The largest discretionary grant we made was $1.5 million, and nearly 200 more were in excess of $100,000 each. In all, we delivered more than 3,200 grants in that financial year. That is a lot of giving, both alongside and on behalf of many inspiring philanthropists, and it is this scale of giving that is our opportunity. It puts us in a privileged position to more effectively support the work of incredible people and for-purpose organisations, all striving to meet the needs of the community – many seeking the support and collaboration from funding partners to deliver this critical social change. We do this in partnership with our expert fellow trustees, advisory boards and individual philanthropists. Although we pride ourselves on the longevity of our experience in philanthropic giving, our consistent drive for better outcomes compels us to continue to evolve. We must meet the challenge to ensure the giving we are responsible for creates as much value as possible, and to be accountable for tracking and measuring the impact that we are contributing toward. The publication of our inaugural Annual Giving Review represents the start of a new phase in our journey, stepping further into our role of responsible stewardship and indeed beyond. We see this as not only our responsibility but our duty to our clients as well as the wider community. Equity Trustees’ commitment is to be accountable and to strive towards mapping, measuring and communicating how we are deepening impact through our funding. We realise this is a complex task and we do not have all the answers in a changing world – but we aim to do our very best to achieve this over the coming years. being transparent, collaborative and accountable in all that we do. We know we are not able to solve all social issues, which is why we have refined our giving strategy to four key areas of focus where we have knowledge, expertise and access to funding. We also know we need strong partners and collaborators alongside us to innovate, work and learn with. We cannot move the needle on the big issues while our partners’ sustainability is challenged. This is why we are committed to strengthening and investing into the system. Over the next three years, we will be building an impact measurement framework that provides us with the evidence base we need to demonstrate the impact we are contributing to. We understand the unique role we play as a trustee, and we commit to openly communicating our progress, our successes and the areas in which we can evolve and do better. Most importantly, we will always acknowledge the incredible work of the for-purpose organisations and great philanthropists we partner with. Only together can we fulfil our shared mission and realise our vision of a better Australia. Read Equity Trustees’ Philanthropy Annual Giving Review online.